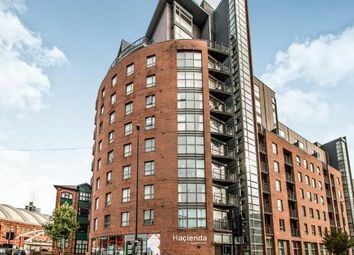 The Hacienda Manchester is an iconic location. The birth place of the Manchester scene, fac 51 was more than a music venue or club. It became a symbol of a lifestyle. Today, we have a highly desirable purpose-built block of residential apartments positioned on the bank of the Rochdale Canal. 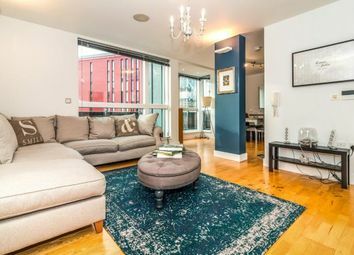 This south facing sixth-floor duplex apartment offers hi-spec living in immaculate condition with floor to ceiling windows throughout. 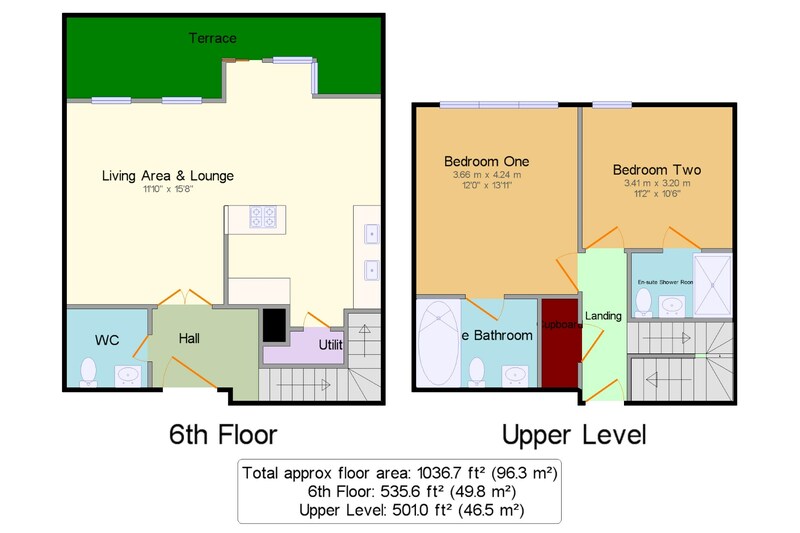 The lower floor consists of a hallway, W/C and an impressive open plan kitchen and living area. 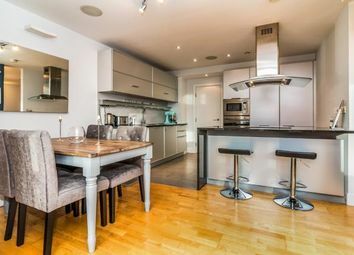 The premium Dada kitchen is fitted with hi-spec appliances, a central island, granite worktops and a separate utility cupboard. The upper floor consists of a spacious master bedroom with an en-suite bathroom and a second double bedroom with an en-suite shower room. All bathrooms are fitted with Hansgrohe fittings. Externally, the lower level features a front aspect terrace with views towards First Street. 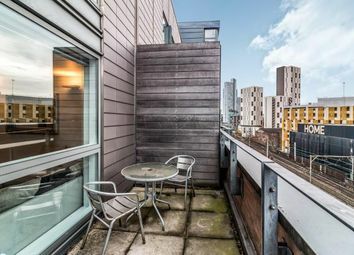 The building offers a 24-hour concierge service and a secure underground car parking space. There is an option to retain the owner as a paying tenant. Hall x . Front entrance door . Electric heater, laminate flooring, painted plaster ceiling, ceiling light. WC6' x 5'10" (1.83m x 1.78m). Heated towel rail, tiled flooring, painted plaster ceiling, spotlights. 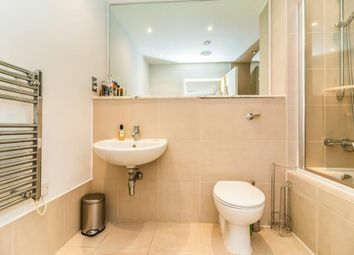 Concealed cistern WC, wall-mounted sink, extractor fan. Living Area & Lounge11'10" x 15'8" (3.6m x 4.78m). UPVC sliding double glazed door, opening onto a balcony. Double glazed uPVC window facing the front. 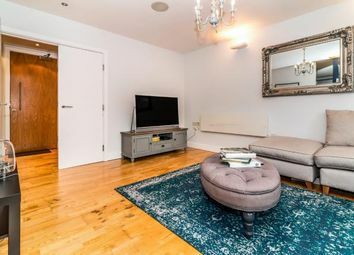 Electric heater, laminate flooring, painted plaster ceiling, spotlights. 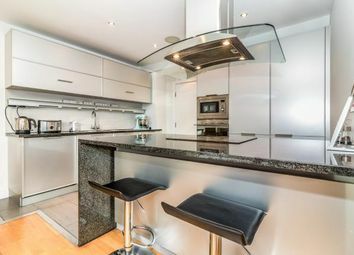 Granite effect work surface, fitted, wall and base, island and breakfast bar units, stainless steel sink and one and a half bowl sink, integrated, electric oven, integrated, halogen hob, stainless steel extractor, integrated dishwasher, integrated washing machine, fridge/freezer. Utility x . Tiled flooring, ceiling light. Space for washing machine. Landing x . Wooden front . 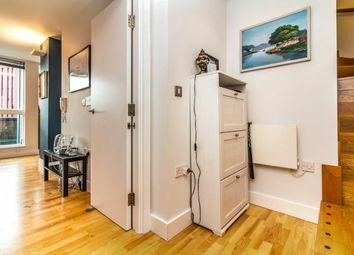 Electric heater, laminate flooring, painted plaster ceiling, wall lights. Bedroom One12' x 13'11" (3.66m x 4.24m). Double bedroom; double glazed uPVC window facing the front. Electric heater, carpeted flooring, painted plaster ceiling, ceiling light. 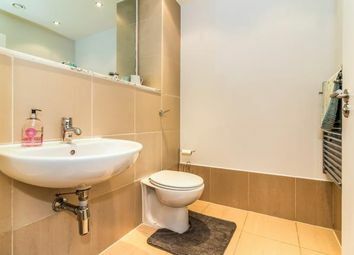 En-suite Bathroom x . Heated towel rail, tiled flooring, painted plaster ceiling, spotlights. Concealed cistern WC, roll top bath with mixer tap, thermostatic shower, wall-mounted sink with mixer tap, extractor fan and shaving point. Bedroom Two11'2" x 10'6" (3.4m x 3.2m). 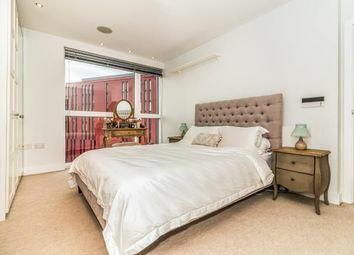 Double bedroom; double glazed uPVC window facing the front. 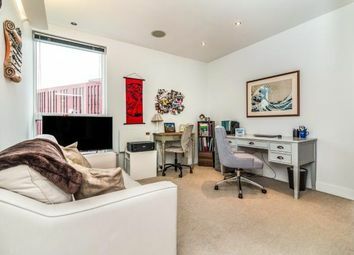 Electric heater, carpeted flooring, painted plaster ceiling, spotlights. 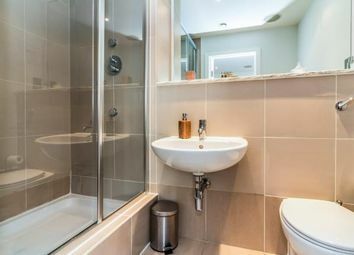 En-suite Shower Room x . Heated towel rail, tiled flooring, painted plaster ceiling, spotlights. Concealed cistern WC, single enclosure shower, wall-mounted sink, extractor fan and shaving point. Terrace x . A front aspect terrace accessed from the living area .